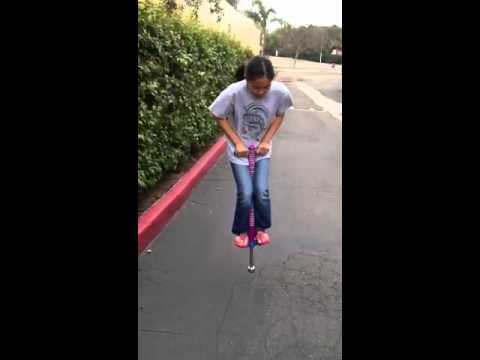 Have you already bought the ideal pogo stick for you or your kid? Then it is time to learn how to ride it! It isn’t difficult at all, just take a look at the videos we present here, read our tips and you’ll be jumping in no time! Start on a firm, clear and flat area, for example a concrete sidewalk or driveway to your garage. Avoid slippery surfaces (wet wood for example) at all costs! Soft surfaces like grass or sand are also not a good idea as the stick can bog down easily. Always wear a helmet! As you are jumping on a hard surface, any fall can be dangerous. And also check the rubber tip on the bottom frequently for any signs of deterioration. Take your time, do just that one jump and leave the stick, then do it again a few more times – and after you get more comfortable, start adding more and more jumps. 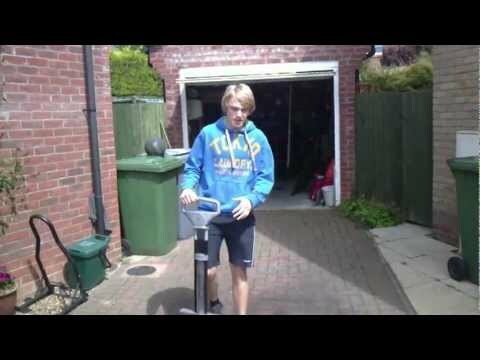 How to move – and after you master bouncing on the same place, try to jump around – just tilt the pogo stick in the desired direction as it can be seen in the first video. 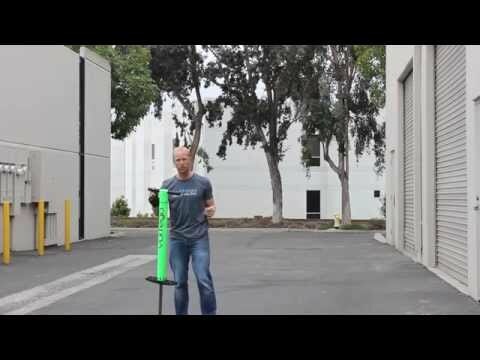 Congratulations, you’ve just mastered the pogo stick basics – so go out and enjoy it! You can start counting how many consecutive jumps you can make, race with your friend over a distance or play some other game.